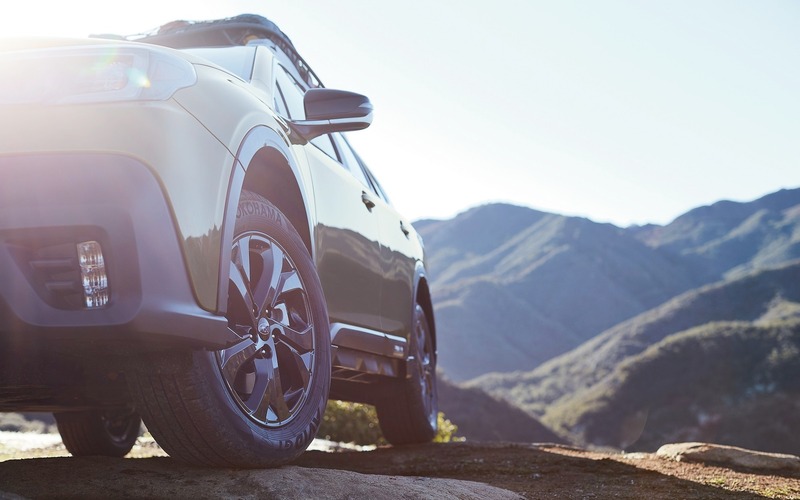 Among the many premieres we’re anxious to see at the 2019 New York Auto Show next week is the all-new 2020 Subaru Outback, which marks the sixth generation of the iconic Japanese wagon/crossover. The outgoing model was originally introduced for the 2015 model year. While the company released this partial image showing the front fender and wheel on Wednesday, it failed to provide any information about the vehicle. Of course, we know that it will ride on the Subaru Global Platform architecture, shared with all modern Subaru models including the recently unveiled 2020 Legacy sedan, so drivers can expect a stiffer chassis and smoother, quieter ride. Under the hood, the redesigned 2020 Outback will feature a 2.5-litre four-cylinder engine that produces 182 horsepower and 176 pound-feet of torque. Direct injection and automatic start/stop technology will combine with a continuously variable transmission to improve efficiency. In all likelihood, the optional 3.6-litre six-cylinder engine will be replaced by a new 2.4-litre turbocharged mill—shared with the Legacy and the 2019 Subaru Ascent SUV—delivering 260 horsepower and 277 pound-feet of torque. Inside, look for an available new 11.6-inch touchscreen mounted vertically on the centre stack. You’ll be able to split the screen to display two types of information such as navigation and audio at the same time, for example. A Wi-Fi hotspot should be included, as well. Don’t miss our coverage of the New York Auto Show starting April 17 for more details and pictures of the 2020 Subaru Outback.